Asian cultures have long been identified with treating food and medicine as one and the same, but as economic development sweeps through throughout the emerging markets of Asia Pacific, industrialization of functional food is growing at an incredible rate. This massive opportunity is not without risks as companies and government regulators struggle to satisfy all parties involved. 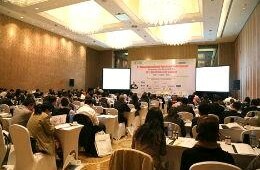 The Asia Pacific Functional Food Summit 2014 is bringing together the most influential figures of the functional food industry with food and drug regulatory officials from across the continent to bring clarity to the development of this field. Drawing on the experience of the highly successful China-based annual functional food summits, presented by Duxes (Shanghai) Business Consulting, the Asia Pacific Functional Food Summit opens in Singapore, bringing this discussion onto a pan-Asian scale. Headline speakers representing leaders of the corporate, government and organizational sectors will present on topics including the current size and shape of the functional food market, product differentiation according to unique food and medical cultures, channel development in changing trade and regulatory frameworks, as well as the specifics of recent innovative breakthroughs. Through open panel discussions between industry leaders, delegates will have the opportunity to air their questions personally to see how they are approached from a variety of perspectives. More significantly though, participants will be able to address challenges they are facing with colleagues in informal one-on-one sessions, through which they will develop partnerships and networking with those from otherwise distant areas of the industry. Over the course of the two-day summit from July3-4, the combination of formal presentations unveiling the latest updated industry intelligence with a combination of such a diverse assortment of industry leaders will be the catalyst of change across Asian Pacific markets for years to come.